Opening a restaurant is hard work. Not only do you have to hire reliable people, dish out some delicious food, and create a business plan, but you also have to do some marketing. If you’ve never opened a restaurant before, then you’re probably relying on advertising for restaurants via the internet. While there’s nothing wrong with that, there’s a lot of information out there and it can be difficult to narrow down exactly what you need to know. Thankfully, you have a business like That’s Biz on your side who knows how to effectively advertise for restaurants, bars, and chairs. We also specialize in pizza marketing, so you’re in luck if you have decided to open a pizza place. Regardless, whatever type of restaurant you did open, you’ll need to take advantage of solutions and products that will put your restaurant on the map. 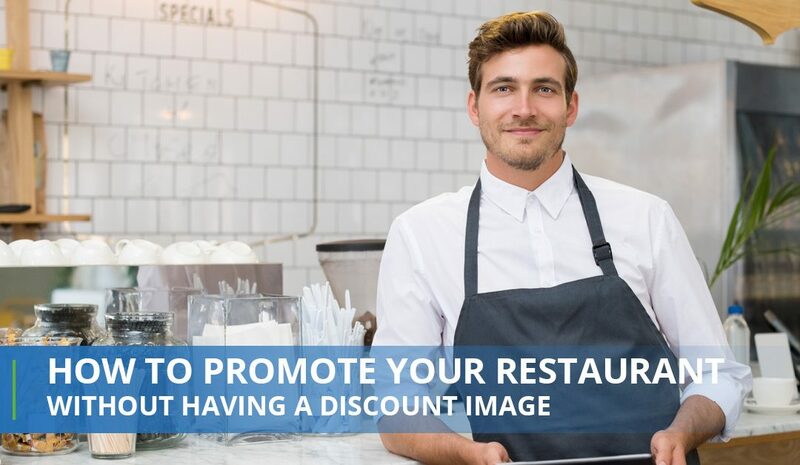 In today’s blog post, we’ll be covering how to promote your restaurant without having a discount image. Discounts will obviously bring in new customers, but it shouldn’t be what your entire business is based on, especially if you want to establish your restaurant as a go-to place for a specific demographic. While discounts can be beneficial, they shouldn’t be the bones of your restaurant. We can help you promote your restaurant without having a discount image and while we encourage occasional discounts, we know you don’t want to focus everything on it. For more information on That’s Biz, contact us today. So how do you promote your restaurant? What do you need to do to ensure that your restaurant is in great shape and getting those feet through the door? While you may think that you need to create discounts to get people through the door, that’s far from the truth. There are a variety of ways to promote your restaurant such as partnerships, community sponsored events, and forms of entertainment. However, today, we’ll be diving into some promotion ideas that you may never have even thought of and that are all a lot easier than you could imagine. So what are they? Let’s dive in and find out how to promote your restaurant. One of the solutions we offer is mobile coupons. What’s great about these is how you can customize your mobile coupon. You can choose to only have them be single-use ones or multiple-use ones. However, if you don’t want to be known for discounts, then we urge you to choose single-use coupons. What’s great about mobile coupons is how easy they are for your customers to use and how they are accessible by mobile phone, so they will see them much more likely than other forms of marketing such as print. On the same wavelength as single-use mobile coupons, automatic coupon reminder emails can be such a lifesaver. If you get automatic coupon reminder emails from businesses in your area, then you know how beneficial they can be. Automatic coupon reminder emails will reiterate to your customers that they should come in. It’ll also show the coupon he or she really enjoyed and wanted to take advantage of, but forgot. These reminders are even better because you don’t have to do anything, since it’s automatic. Lastly, and arguably the most important, keep in mind the feedback and the reviews that you get back from your customers. This feedback, when taken constructively, will allow your restaurant to flourish. All you need to do is listen to what your customers are telling you and take it into consideration as you shape your restaurant into what you want it to be. Obviously, take everything with a grain of salt, but taking advantage of feedback will help you achieve your dream for your restaurant. At That’s Biz, we provide a variety of services that will put your restaurant on the map. We offer services such as mobile coupons, guest WiFi, text message marketing, and digital postcards. We also can help with Facebook Ads and a variety of Solutions-To-Go™. If you’d like to take advantage of our products, then reach out today! We look forward to helping you achieve marketing success.